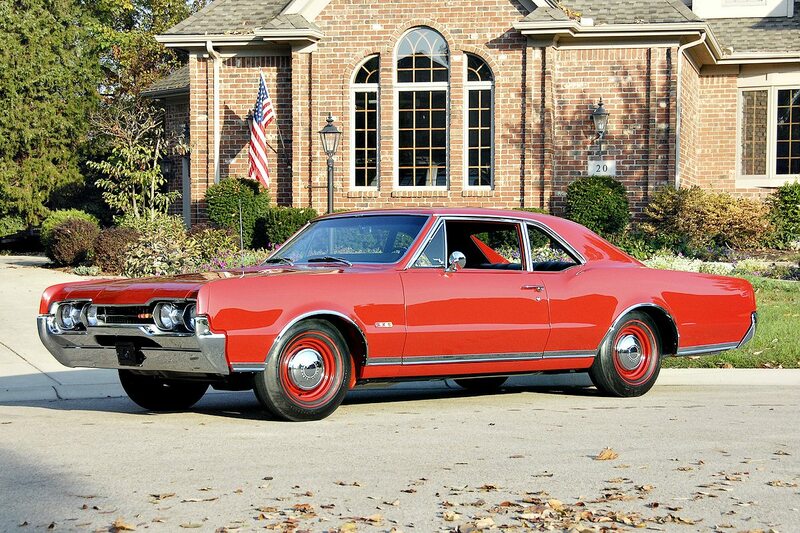 While there is no shortage of love out there for the Oldsmobile 4-4-2, it isn’t a classic car badge you’ll see GM resurrect in the modern era like the GTO, Camaro, Challenger, GT, Thunderbird, or Charger have been. Besides the fact that Oldsmobile is no longer making cars, the name 4-4-2 denoted a configuration that will never see mass production again: a four-barrel carburetor, a four-speed manual, and power sent to two rear wheels via a posi-traction rear end. You may still see one of those three features rolling off a modern assembly lines, somewhere in the world, but the likelihood of seeing all three in one modern car again is slim indeed. The 4-4-2 was a serious performance vehicle at its peak of performance in 1970, utilizing an Olds 455 V8 to crank out 365 hp and 500lb-ft of torque. If you tacked on the W25 option package and you got functional hood scoops good for 5 additional horsepower, an aluminum intake manifold and cylinder heads, a performance camshaft, and a fiberglass hood, all good for a quarter mile time in the 13 second range, from the factory. While the delightful 4-4-2 setup may never see new car lots again, there are still lots of classic 4-4-2’s out there for collectors of classic cars to still enjoy. We hope to see these classic super cars on the road for many years to come, and take great pride in insuring them so their owners can continue enjoy them on the road.